Can I Play Lucky Links Online? Read Reviews! Lucky Links Exposed — Are You That Lucky? The new baby in the portfolio of the Connecticut Lottery Corporation, Lucky Links is quickly gaining popularity. Perhaps it’s the relatively innovative format of the game, perhaps the odds have something to do with it… Whatever the reason, this lottery is definitely worth trying if you live in the state or plan a trip to it in the near future. Lucky Links was launched at the end of April 2015. The appearance of a playslip is quite reminiscent of the setup for playing tic-tac-toe, a characteristic that sets Lucky Links apart from all of the other state lotteries. In order to win a cash prize, a player has to complete horizontal, vertical and diagonal lines (more about this requirement in the coming sections of the guide). Lucky Links holds drawings every single day, at lunch time and in the evening. This fact, combined with the excellent odds of winning the game’s fixed jackpot has made it a favorite among the folks in Connecticut. Are Lucky Links a Scam? 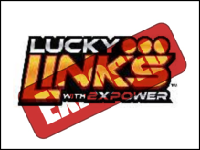 As already mentioned, Lucky Links is one of the games in the portfolio of the Connecticut Lottery Corporation. CT Lottery has been around 1971 and its sole purpose is to organize lottery games, ensure the fair provision of prizes and dedicate some of the funds generated through ticket sales to charitable causes. The first CT Lottery ticket was sold back in 1972. Today, CT Lottery has expanded its portfolio significantly. Some of the games that players could choose among include Play 3, Play 4, Cash 5, Keno and Lotto!. CT Lottery is also responsible for multi-jurisdictional draw games like Mega Millions, Powerball and Lucky for Life. During 2016, the CT Lottery handed over 760.2 million dollars in prizes. In addition, the organization generated 337.5 million dollars through ticket sales that have been dedicated to support good causes in the state. To sum it up, Lucky Links is not a scam, regardless of its tender age. The game is a completely legitimate one and it offers players a nice opportunity to win some cash. How to Play Lucky Links? In order to play, you need a Lucky Links playslip. Instead of choosing numbers, however, you will get one that already features eight digits in the range from 1 to 22. The cost of a single Lucky Links entry is 2 dollars. To get a playslip that also features the 2XPOWER feature, you will have to spend an additional sum of 1 dollar. The ticket itself features a tic-tac-toe like grid. When the numbers are drawn for the respective edition of the game, the players will have to compare those to the digits printed on the Lucky Links grid. The grid features a free spot in the middle marked with an $. In order to win a prize, player will need to link three numbers or link two numbers and the $ either horizontally, vertically or diagonally. In order to win a prize, players have to make two or more lines (the direction is irrelevant). When 2XPOWER is activated, there will be a chance to double the prize whenever a player makes 2, 4, 5 or 6 lines. Like many other state games, Lucky Links comes with a fixed jackpot. In order to win the top prize, players have to get 7 or 8 lines. By default in the game, a ticket that forms 7 lines will automatically get an eighth one. The maximum prize in the game is 50,000 dollars and the odds of this happening are 1 in 319,770. The 2XPOWER multiplier does not apply to the jackpot and cannot increase its amount. The second prize is handed to the players who can form 6 lines. The prize is 1,000 dollars (2,000 dollars with 2XPOWER) and the odds of forming 6 lines are 1 in 5,710. The prize for forming 5 lines is 100 dollars, 4 lines – 50 dollars, 3 lines – 10 dollars and 2 lines – 5 dollars. Once again, the multiplier feature will apply to all of these prizes whenever it is activated for the respective ticket. The overall odds of winning a prize in Lucky Links is 8.4 – pretty favorable in comparison to the odds of winning a prize in some of the bigger state, multi-jurisdictional or international lotteries. Would you mind rating Lucky Links? Players who win any Lucky Links amount will be given 180 calendar days from the date of the drawing to make their prize claim. An amount of up to 599 dollars can be recovered from any authorized retail venue. A prize in the range from 600 to 5,000 dollars can be obtained from the CT Lottery High-Tier Claim Center in Rocky Hill. Any larger amount will be payable solely at the CT Lottery headquarters. Now we have to talk on a topic that’s much more unpleasant than claiming a prize – taxes. CT Lottery is required by law to withhold a federal tax of 25 percent on all prizes exceeding 5,000 dollars. Winnings of 600 dollars or more are reported to the IRS. A Connecticut state income tax of 6.99 percent will apply to all lottery prizes exceeding 600 dollars, as well. The tax will be withheld, regardless of the residency or the nationality of the winner. Can You Buy Lucky Links Tickets Online? Lucky Links is a state game. This means that tickets can be bought only on the territory of the state. Players from other parts of the US and citizens of another country are free to buy tickets and claim prizes whenever they’re located in Connecticut. Lucky Links is a quite fun game. It comes with excellent odds, with a multiplier and with two daily drawings. Could you ask for anything more? The low price of the ticket means you should definitely be giving this fun little game a try the next time you happen to be in Connecticut (if you live there, you’re a lucky person already!). Although Powerball is my favorite, this is a close second because I love the format of this game. It is quite unique and unlike any other lotto out there. It reminds me of the tic-tac-toe game I always loved as a kid.